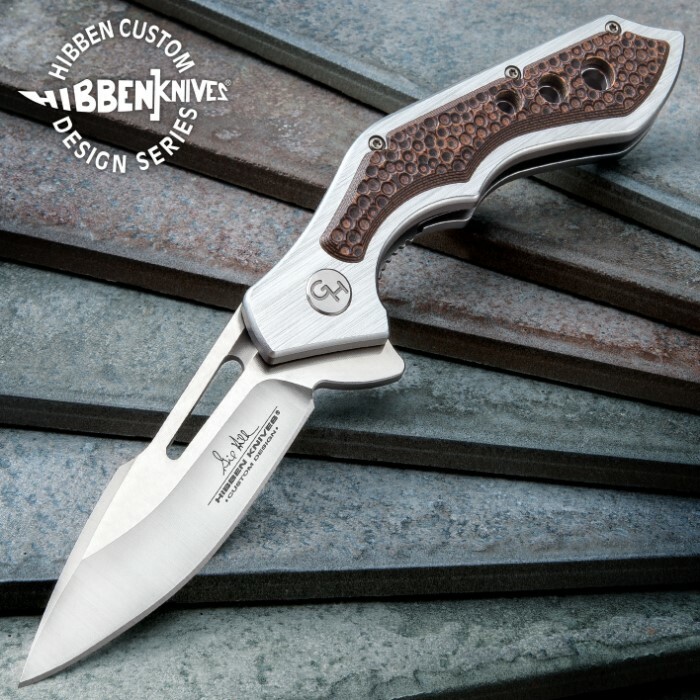 Hibben Hurricane Pocket Knife - 7Cr17 Stainless Steel Blade, CNC Machined, Ball Bearings, Tan And Black G10 Handle Scales | BUDK.com - Knives & Swords At The Lowest Prices! The Hibben Hurricane Pocket Knife showcases Gil Hibben’s extraordinary talent for marrying attractive form and absolute function in his incredible designs. 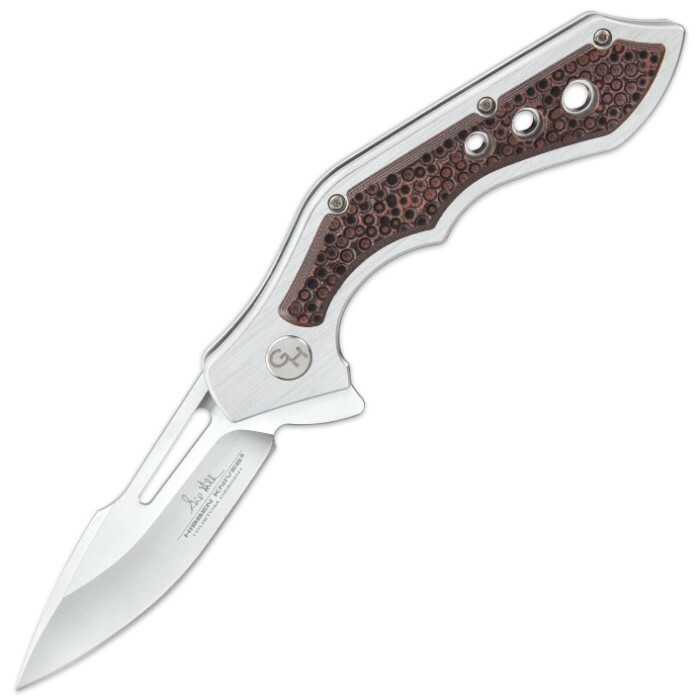 The pocket knife has a 3 1/16” sharp, 7Cr17 stainless steel blade with a satin finish and a flipper. 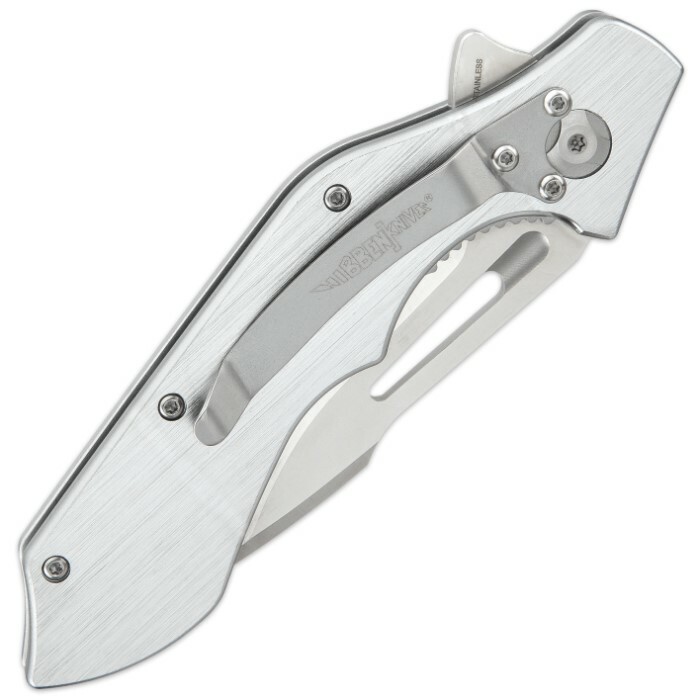 It's constructed of precision CNC machined parts with tight tolerances and featuring a glass-smooth ball bearing blade pivot mechanism. 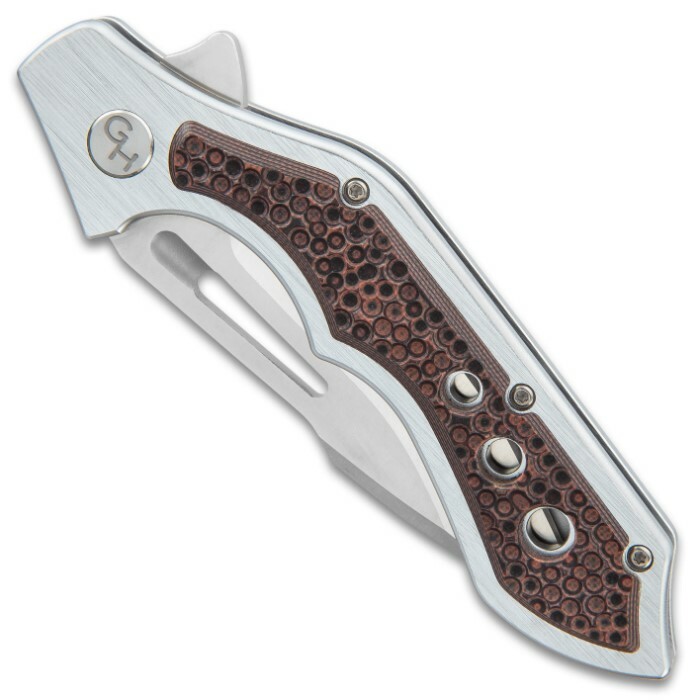 The handle is CNC machined 6061 aircraft aluminum with a satin finish, a silver anodized coating and has tan and black G10 handle scale accents. 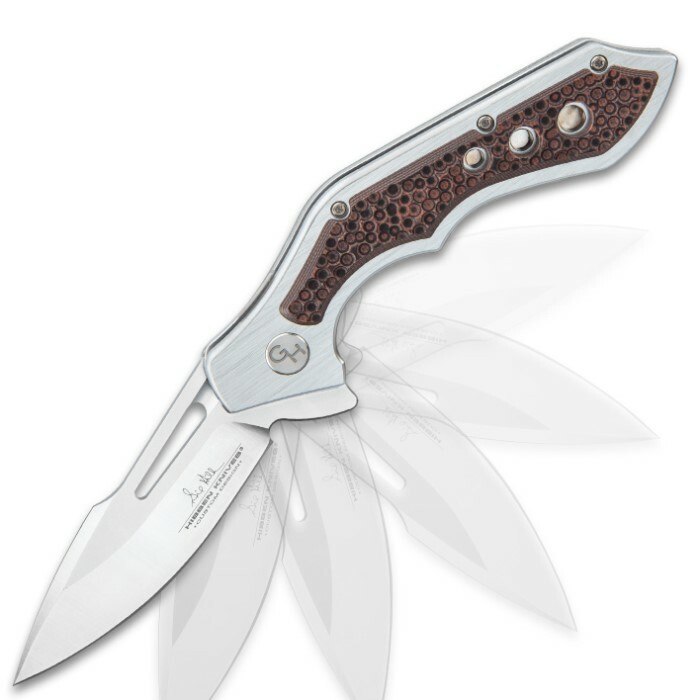 The pocket knife is 5”, when closed, and has a bead blasted stainless steel pocket clip with the iconic Hibben Knives logo laser etched in white. 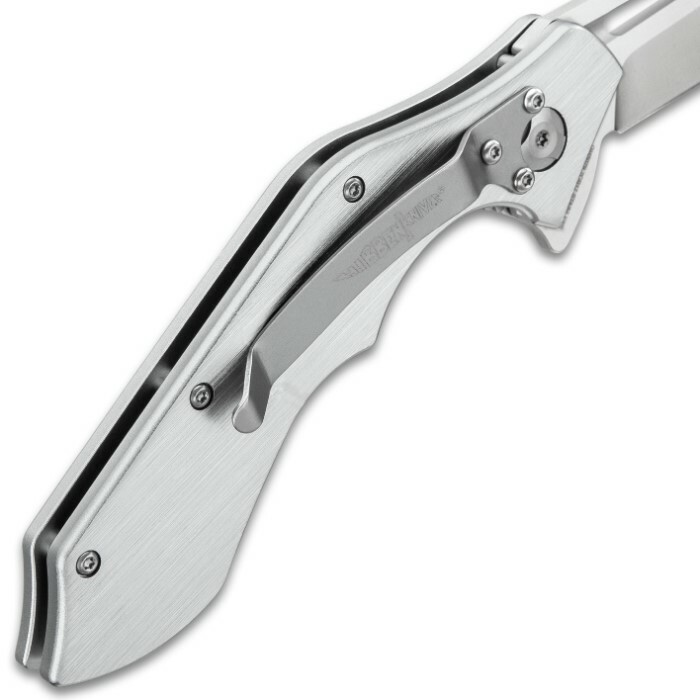 If you’re looking for an exceptional everyday carry pocket knife, this Gil Hibben masterpiece is exactly what you’re looking for!